tory - Illinois small hands "I got two bikes and put asv clutch lever on both. They are awesome. I got small hands and wanted adjustable clutch lever. One of my bikes the clutch grabs high, but after installing the asv lever it now grabs low (as it should). 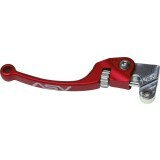 The lever I got are similar to stock levers but are adjustable; much better than stock and very high quality. 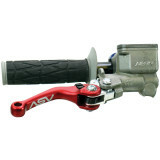 Only issue was the torque amount provided by asv was too much and would make the lever stick or drag. Very satisfied with ASV !"